Highly portable, top quality roller banner. 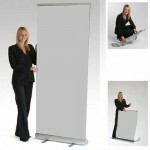 Luxury Banner Stands Single - 1000mm.. Luxury Banner Stands Single - 800mm..